The Braves Development Company (BDC) earlier today confirmed a lease has been signed with premium movie theater operator Silverspot Cinema. ToNeTo Atlanta was first tipped off to its upcoming opening last month, but at that time the lease was reportedly not yet signed. The new theater will span 38,000 square feet with eleven screens, offering a wide range of film, programming and events as well as a full bar and in-theater dining. The first-to-market theater will open in part of the large vacant parcel of land near the Xfinity store, close to Cobb Parkway. Naples, Florida-based Silverspot has existing locations in Florida and North Carolina with locations coming soon to Miami and Orange Village, Ohio, a suburb of Cleveland. 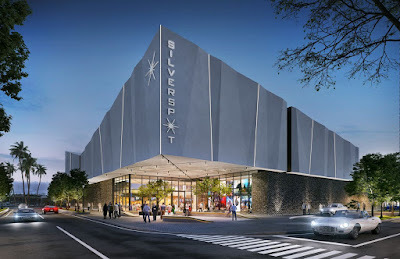 “Silverspot Cinema is one of the most innovative and creative entertainment organizations we have encountered, focusing on an exceptional theater experience for their customers, with a high-touch, customer-first environment which makes them the perfect fit for The Battery Atlanta,” said Mike Plant, president and CEO of BDC. The new theater marks the return of a cinema to the immediate area following the closure of AMC 8 Theatres at Galleria Specialty Mall in 2003. The older Galleria cinema quickly became dispensable following AMC's 2002 purchase of rival theater chain General Cinema and its nearby Parkway Point 15 at Cumberland Boulevard and Cobb Parkway, now AMC Parkway Point 15. According to Randi Emerman, Silverspot's Vice President of Programming and Strategic Partnerships, her company is different from other upscale cinemas like iPic and CinéBistro in that it offers a far more "curated" assortment of programming. "Silverspot Cinema is a privately-held, customer centric company specializing in sophisticated cinemas offering an enhanced, hassle-free entertainment experience in a boutique environment, catering to an upscale clientele. In addition to traditional Hollywood fare, Silverspot offers independent films, award-winning foreign films and a cultural arts program featuring operas, ballets and concerts." 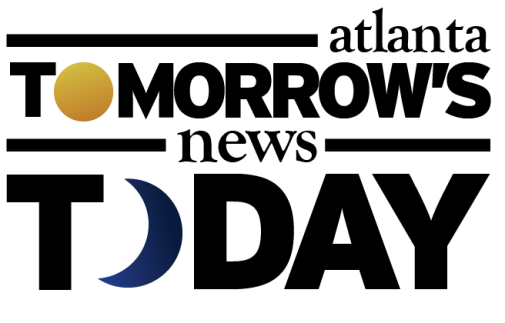 "Like many of the existing concepts at The Battery Atlanta, Silverspot Cinema is a supporter of the local communities it serves. For instance, it supports local filmmakers by giving their films the opportunity to screen on selected dates throughout the year." The addition of Silverspot to The Battery Atlanta line-up reflects BDC’s goal of creating "the ultimate experiential entertainment destination." Tickets at current Silverspot theaters are about $15 but pricing for the Battery location has not yet been announced. The theater is expected to open April 2019, in time for the start of the Braves third season at SunTrust Park. In addition to the new Silverspot and recent opening of upscale bowling venue Punch Bowl Social, a number of new openings are planned for the Battery in the coming months. Locally owned sunglass company Select Shades hopes to open next week on Battery Avenue across the street from where Silverspot will open. Gourmet candy company Sweet Pete's hopes to open later this summer sans the previously planned return of sibling concept Farrell's. Burn by Rocky Patel, a cigar lounge, El Super Pan, and new concept Garden & Gun Club are also expected to open later this summer. 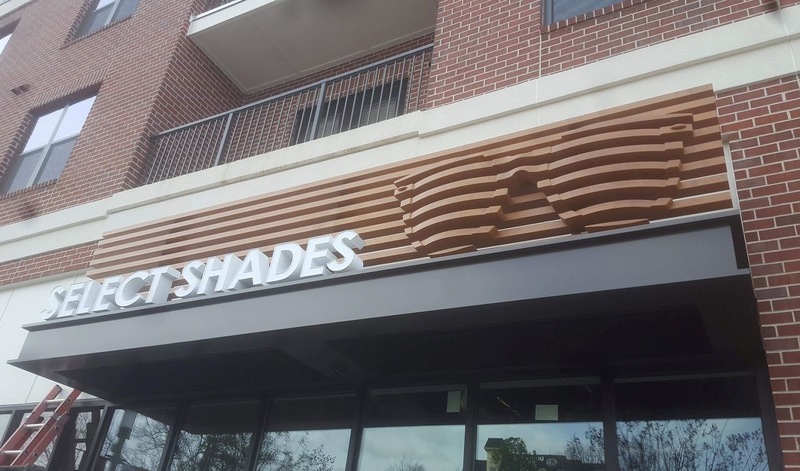 The project is reportedly 75% open and 80% leased, with plans to commit the remaining spaces to "specialty, unique retailers, and fitness concepts," according to a source with knowledge of the leasing team's plans. The leasing team, led by Simon Property Group veteran Gary Lewis, is also reportedly in talks with another first to market tenant, a "top class Virtual/Augmented Reality concept." Our source also indicates that future plans also include an additional 150 room boutique hotel and a 375,000 square foot office tower occupied by a single tenant. 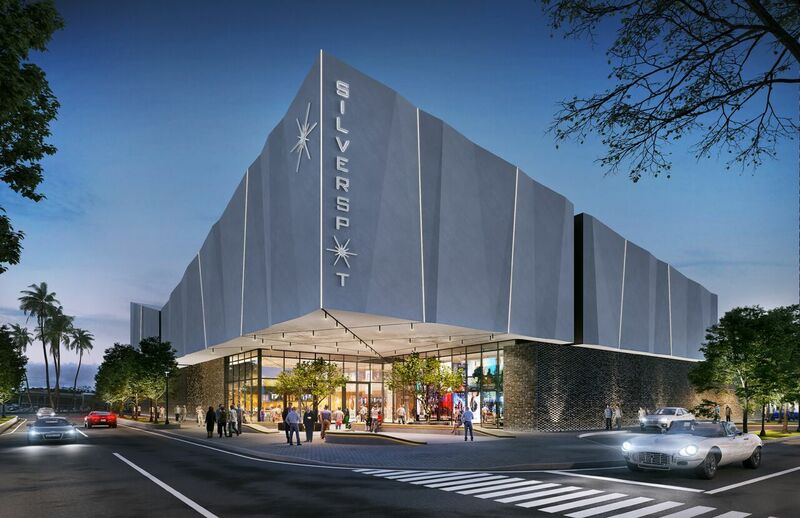 Are you excited by the addition of Silverspot to The Battery Atlanta? What new or upcoming tenant are you most a fan of? Do you think the Braves early success is an indication of a full season of promise, or only an indication of future dominance?  Please share your your thoughts below. Didn't they say to expect phase 2 soon? I think Xfinity store was a waste of prime space. A theatre that charges a boat load of money only to not show big box office movies? Cobb can have that crap. Never been to that brand theater, but the post states that they show the smaller films in addition to the big box office movies, not in lieu of them. All this could have been done downtown, but greed always got in the way. I still think it sad that Atlanta would not work with the Braves Organization and develop something similar in the old location. It seems like it would have been a plus for the area south of I-20 and the old location was more centrally located for the metro are as a whole. However, Atlanta dropped the ball and Cobb stepped up, so good for them. @Ham - yep, that's part of the greed that I was referring to! Atlanta Magazine ran a great piece about the old site and why they could never develop it into what the Battery appears to be turning into. $400 million? I don't think that's true. In fact, I know it's not. And did you really think all those hotel taxes were headed to fund libraries? (They never were - they are prohibited by law from going there). So exactly zero dollars were diverted from Cobb libraries to the Braves. Personally, I still like the physical paper books, but I think I'm in the minority on that one. People are all moving to electronic books. I'm afraid libraries are becoming obsolete.